PHOENIX, ARIZ. (April 9, 2014)- Mike Focareto, CEO of Veteran Tickets Foundation (Vet Tix) has announced that the organization has added Al Maag, head of MaagCommplus, as its new chief marketing officer. 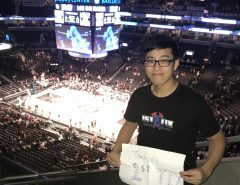 Vet Tix is a national nonprofit 501(c)(3) organization that partners with major sports teams, leagues, colleges, promoters, organizations, individuals and ticket holders to provide donated tickets to sporting events and shows to military members and veterans. Active duty military and honorably discharged veterans from all branches of service, as well as families of those killed in action are eligible to receive tickets. Since 2008 Vet Tix has grown tremendously, donating more than 800,000 tickets to veterans and their families. 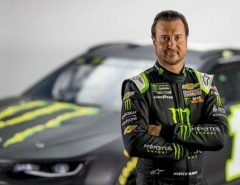 Maag joins Vet Tix after a unique career spanning four decades. He retired in 2013 as chief communications officer for Avnet, Inc., a Fortune 500 company and one of the world’s largest technology distributors. Avnet was named as Fortune’s most admired company in its industry from 2009 to 2013. 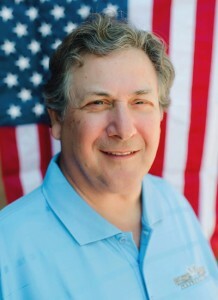 Among his other achievements Maag was voted Volunteer Executive of the Year in 2009 by the Phoenix Business Journal. His board support ranges from the Miracle League for handicapped children, Business Marketing Association, Maag Toy Foundation, and MVP. After retiring, Maag started MaagCommplus, a communications consultancy. Veteran Tickets Foundation (Vet Tix) is a national 501(c) (3) nonprofit foundation supporting our military community. 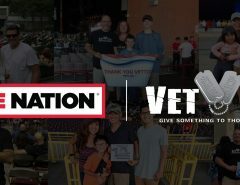 Vet Tix provides free event tickets to currently serving military, veterans and family members of KIA to sporting events, concerts, performing arts and family activities. Our military and veterans experience many difficult transitions as they reintegrate back into their families, their communities and eventually civilian life. Attending these events improves morale, strengthens family bonds through shared interests and encourages service members to stay engaged with local communities and American life. In gratitude for their service and to support their reintegration, Vet Tix is dedicated to giving back to those who gave us so much. Please visit our website www.VetTix.org. My family had a great time at the Supercross. This is the first time my girls had a chance to attend the Supercross and they were thrilled.Thanks so much for the opportunity to attend. 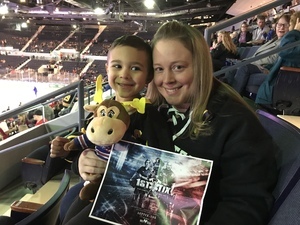 Thank you so much to the Amerks and 1st tix for the tickets to the hockey game! It was Hometown Heroes night which honored first responders and military in our local community which made it even better! What your organization does is truly amazing! Thank you very much for the 4 tickets to attend the awesome Kelly Clarkson concert. 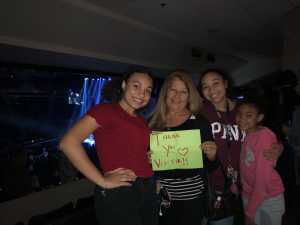 I took my grand-daughters to their first concert. They had an experience they will never forget! 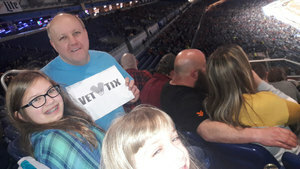 We really appreciate VetTix and all those that donate these wonderful tickets for those that may not ever be able afford these venues. Thanks a million! !